HIP HOP II CRICKET Mini Receiver 900 Mhz. 18mm. x 10mm. x 2mm. / 275mg. 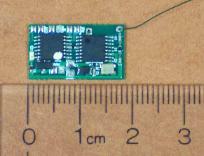 PCR 4S Micro Receiver 900 Mhz. 18.5mm. x 10.5mm. 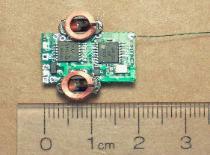 x 2.5mm. / 500mg. Z-TRON FHRA 3 Channel Actuator Rec. PCR 3A Micro 3 Ch Receiver 900 Mhz. 20mm. x 12mm. x 2.5mm. / 520 gm. Z-TRON FHRA 3 Channel COMBO Rec. PCCOMBO Micro Receiver 900 Mhz. 20mm. x 20mm. x 5mm. / 1.4 gm. Hip Hop II Rabbit Micro Receiver 900 Mhz. 5mm. x 5mm. 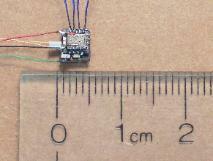 x 2.5mm. / 115mg. Z-TRON FHRA 4 Channel Actuator Rec. 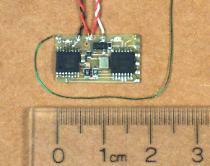 PCR 4A Micro Receiver 900 Mhz. 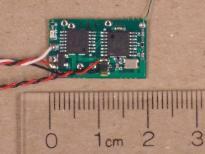 Hip Hop II Rabbit Micro Servo Receiver 900 Mhz. 5mm. x 5mm. x 2.5mm. / 100mg.